Uttar Pradesh cops are on high alert after the Rashtriya Swayamsevak Sangh-affiliate called the Hindu Jagran Manch issued a threat to all schools in Aligarh about celebrating Christmas. The fringe outfit issued a circular warning the managements of all Aligarh schools against celebrating Christmas and threatened, if they did so, it would be “at their own risk”. The warning set alarm bells ringing in all educational institutions in the Aligarh city, especially Christian schools. Taking note of the warning, the Uttar Pradesh Police directed all district police chiefs to take strict action against those indulging in intimidation of any sort. “The Aligarh Senior Superintendent of Police and all district police chiefs have been directed to take strict legal action against those indulging in intimidation of any sort,” Additional Director General, Law and Order, Anand Kumar said. The ADG also directed all district police chiefs of the state to ensure the freedom of practising religion is protected. So what is the real meaning of secularism? Melania's White House Christmas decorations are magical! 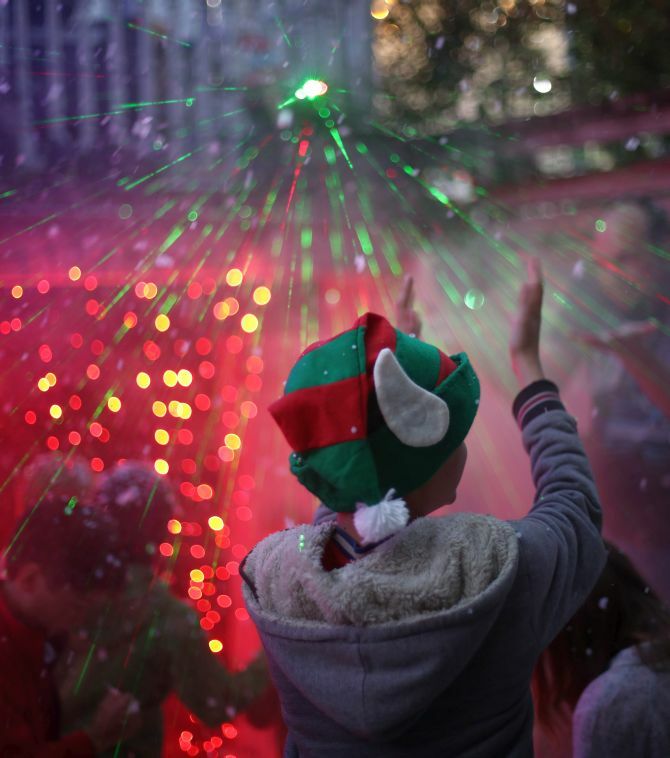 Naughty, not nice: How to party like it's Christmas!